High blood pressure significantly increases the risk of heart disease and stroke, and yet almost one-third of people who have high blood pressure aren’t even aware of it. So it’s important to visit your doctor regularly to get your blood pressure checked. Dr. 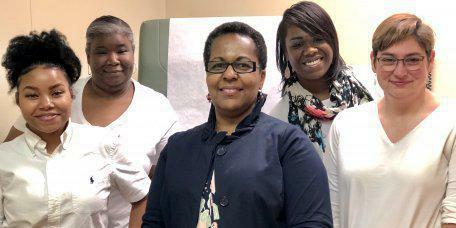 Crystal Brown has years of experience diagnosing and treating high blood pressure for her patients in the Fort Valley, Georgia, area. To book an appointment, call Brown Family Practice today, or schedule an appointment online. High blood pressure, also called hypertension, is when your blood pumps through your arteries with a level of pressure that’s higher than normal. It’s a serious disease that puts you at risk of life-threatening conditions such as heart attack, stroke, and kidney failure. When you measure your blood pressure, there are two numbers: the first is the amount of pressure when your heart is beating, which is called systolic pressure, and the second is the amount of pressure when your heart is resting between beats, called diastolic pressure. For adults, normal blood pressure is anything below 120/80, meaning when your systolic pressure is below 120 and your diastolic pressure is below 80. Abnormal blood pressure is anything above 120/80, or when your systolic pressure is above 120 or your diastolic pressure is above 80. This is when your blood pressure is 120-139/80-89. If you have prehypertension, you might end up with high blood pressure unless you take preventive steps. Also called moderate hypertension, this is when your blood pressure is 140-159/90-99. At this stage, there still may not be any symptoms, but you will need to make lifestyle changes and may need to take medication. Also called severe hypertension, this is when your blood pressure is 160/100 or above. A serious condition, stage 2 hypertension is usually treated with medication, along with lifestyle changes. Also, as we age, the chances of having high blood pressure increases. Once you’re diagnosed with prehypertension or high blood pressure, Dr. Brown can determine the treatment plan that’s right for you. Treatment may include medications, such as beta blockers, that reduce blood pressure, as well as lifestyle changes, such as losing weight. Getting your blood pressure checked regularly is vital to preventing heart disease and stroke. To schedule an appointment at Brown Family Practice, call the office or book online.